Water view homes in Greater Seattle can have views of Puget Sound, Lake Washington, Lake Union, Lake Sammamish, and many other bodies of water. The value of a water view in the Seattle area is significant, as prices for view homes can often be twice as high as prices for homes without a view. Water view homes in Seattle stretch from West Seattle to Shoreline, with nearly every local body of water within view from some Seattle locale. Water view homes in Bellevue start on the West end of town with Lake Washington views, and extend to Lake Sammamish views in the East. Issaquah has water view homes that look over Lake Sammamish and some smaller local lakes. Kirkland's water view homes reside mostly on its western edge, with neighborhoods like Lakeview sitting on the shores of Lake Washington. Kenmore sits at the north end of Lake Washington and take in water views from many of its homes. 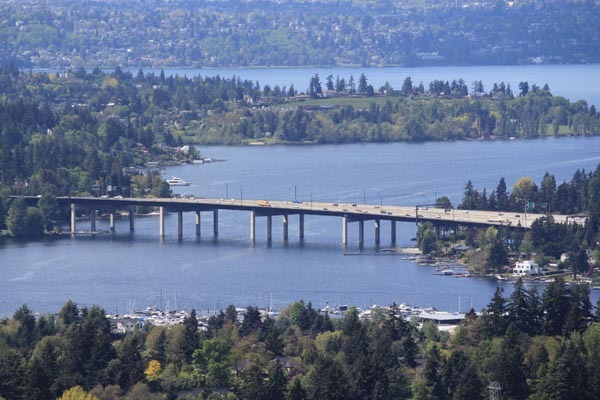 Mercer Island is surrounded by Lake Washington, and its homeowners enjoy water views across the island. Redmond has water view homes that look toward the north end of Lake Sammamish, as well as some other small local lakes. Renton has many small lakes, but its most dramatic water view homes are located in Northwest Renton near Kennydale and Lake Washington. Shoreline homes with water views are on the west side of town, looking out on Puget sound. While there are not always water view homes available for sale in every neighborhood, check back often as new listings will appear on our site daily. If you can't find the water view condo you're looking for, just Contact Us and we'll do the searching for you. Want to help us find them a home? List with us. Sell for more.